Marvell has unveiled their new Smile Plug Computer at CES today, which it has created to slot into a power outlet and send its own local content out to other Wi-Fi-enabled devices. The Smile has been initially deigned for use in classrooms and provide what Marvell calls “Classroom 3.0,”. Marvell worked with Stanford University to produce the Marvell Smile Plug, which has been named after the Stanford Mobile Inquiry Based Learning Environment program, and creates a “micro cloud” wireless network within a classroom that is completely controlled by the teacher. The Marvell SMILE is powered by a Marvell Armada 300 CPU that can run at up to 2G-Hz, 512MB of DDR3 RAM, and 512MB of Flash memory. An SD card slot allows for additional storage up to 32GB. 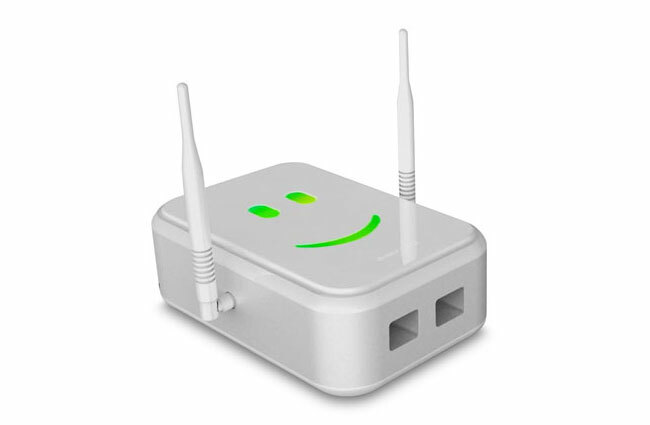 The SMILE Plug also comes equipped with a Marvell Avastar 88W8764 Wi-Fi chip for broadcasting 802.11n signals to clients. Unfortunately no information on pricing or worldwide availability has been released as yet by Marvell, but will will update you when any information is released.